'Shorebased' means a course carried out on land. Attendance on a Shorebased course should not present any more of a risk than attending a course in any school. Whilst every effort will be made to accommodate students with physical or other difficulties it may not always be possible. We are fully insured against accidents and third party liability, but responsibility is not accepted for personal accidents, damage or loss due to your negligence. Unnecessary damage and losses attributed to carelessness of a student will be paid for by the student at replacement price, fair wear and tear accounted for. Children under 18 are not accepted on courses unless accompanied at all times by a parent ot guardian. A classroom is usually a modern log cabin situated on our premises with a normal capacity of 4 students for courses involving chartwork and a maximum capacity of 8 at any time. The classroom may alternatively be in part of a public building which we have rented. Such a building may be expected to be clean with toilet facilities and fire escapes. Adequate car parking cannot be guaranteed. You are expected to comply with any rules governing the use of such building. If you think that the location and environment for your course is not a suitable place for you to learn, you must tell us as soon as possible, but we cannot guarantee to meet your requirement for change. Surrey Shorebased will not be liable for any damage to any vehicle that you have parked at or near the classroom, or for any loss or damage to personal possessions. the RYA's own conditions and requirements upon learners and providers of courses with which Surrey Shorebased is obliged to comply. specific conditions and requirements, details of which will be available prior to enrolment. Our Shorebased courses are conducted to syllabus and accreditation standards set by RYA. The awarding of a certificate of competence to a learner who has completed a course is entirely in the discretion of Surrey Shorebased. A learner to whom a certificate of competence is not awarded has the right to complain, giving reasons. Complaints must be addressed first by way of request for review to Surrey Shorebased or if you do not agree with our decision on review secondly to the RYA. Surrey Shorebased will make a charge for any extra work. For some courses the RYA may also make an additional charge for the re-sit. Should you, for any reason, feel that the course may not have met your expectations, it is vital that you raise the issue at the earliest opportunity, so that we may rectify it as soon as possible. We may not be able to offer alternative arrangements after the course is completed if the issue could have been solved during the course. Occasionally we may use feedback and photos in promotional material, if you have an objection to this please let us know in writing. ‘SRC’ means 'Short Range Certificate' and is the 'licence to operate' that a learner requires in order to legally transmit messages on Marine band VHF radio. The licence is issued by RYA on behalf of The Office of Communications (Ofcom) and the Maritime and Coastguard Agency (MCA) in the United Kingdom. 'on-line' means through an Internet connection. 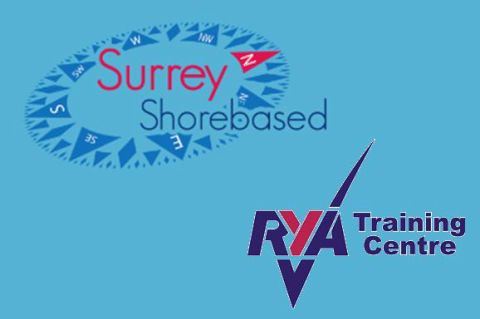 Surrey Shorebased is recognised by RYA to be able to conduct SRC operators assessments, also known as 'SRC examination' and sometimes referred to as the 'SRC Practical Assessment'. The licence application fee, which is payable before the learner takes the operators assessment, must be paid directly to RYA by the learner through an 'on-line' application and payment. Each student must pay Surrey Shorebased for the SRC training course whether interactive or classroom based. bringing also a passport size (45mm high by 35mm wide) colour photograph with their name clearly written IN CAPITALS on the back in pencil. Surrey Shorebased will offer a learner a mutually acceptable date and time for the SRC operators assessment which they will agree to attend, giving their acceptance by E-mail or by telephone. Surrey Shorebased will provide the equipment and make arrangements for a qualified SRC examiner to attend for the assessment. The examiner will collect the signed application forms and the photographs. Surrey Shorebased will not be liable to any costs that students may incur, if it is not possible to conduct the 'SRC operators assessment' on the date agreed, for any reason. If a learner attends the assessment and fails to supply the signed application and / or photograph, or fails to attend, that learner will be liable to pay Surrey Shorebased costs which were incurred on their behalf, for arranging the assessment. RYA's terms and conditions concerning SRC applications will also apply. 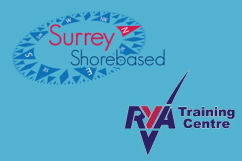 Surrey Shorebased conducts RYA Shorebased courses for the benefit of small numbers of people at any one time. Sometimes it is necessary to have a minimum number of learners for a course; sometimes we operate a 'waiting list' for a course as insufficient learners wish to take such a course at that time. We often discuss with our learners to find a date or a group of dates that will enable a number of learners to be able to attend the course on the same date(s). We may have sought your agreement about the date(s) before you have enrolled with us for the course. If Surrey Shorebased offers a course on a date or over a period of dates so that the teaching and assessment of a learners on that course may be completed, based on the positive indication of a number of people showing agreement of that date or dates, and subsequently one of those persons does not enrol and pay for that course, Surrey Shorebased reserves the right to cancel or postpone the course for others even if they have already enrolled and paid for their course. In this case, Surrey Shorebased will make a full refund of any course fees paid. That is the limit of our liability to any learner. Learners will enrol by completing an Enrolment form applying for a place on a specified course proposed to be held on suggested date(s) and submitting it to Surrey Shorebased. Submission of an Enrolment Form to Surrey Shorebased implies acceptance of these Conditions of Business. Upon receipt of a completed Enrolment Form, we shall issue an Invoice confirming the cost of the course and specifying the required means for payment and conditions relative to those. A learner will not be considered as enrolled until both the Enrolment form is completed and submitted and the required payment made in the manner indicated. If a learner fails to pay the course fees owing, the learner may be prevented from completing the course and will not be entitled to a refund of any monies already paid. If a learner has a problem in attending a course on the day or days for which they have enrolled, for any reason they must inform Surrey Shorebased as soon as possible. If a learner notifies Surrey Shorebased in good time, an attempt may be made to re-schedule the teaching session, but if other learners on the same course are unable or unwilling to agree to the re-scheduling, the course may still take place on the originally agreed date. agrees to indemnify and keep indemnified Surrey Shorebased against all costs claims damages and expenses whatsoever resulting from their cancellation or non-attendance. In the event that Surrey Shorebased is delayed in or prevented from providing a course on any agreed date(s) for any reason (including (without limitation) illness of the course leader, unavailability of location or due to any other cause whatsoever beyond its reasonable control), Surrey Shorebased shall be at liberty to cancel, suspend or postpone the course without incurring any liability for any loss or damage arising therefrom. Without prejudice to the above paragraph, Surrey Shorebased may attempt to contact all affected learners to notify them of the difficulty, and seek agreement with all relevant learners to re-schedule the dates for that course. will not be liable for any other costs incurred by the learner as a result of the cancellation, including (without limitation) any monies paid for course books, materials or tools purchased. their agreement to that email address being used by us for all purposes of communication and acceptance that no other written correspondence will be entered into. the learner's acknowledgement that the principal of Surrey Shorebased will often be out range of internet access (e.g. on a boat) and that therefore emails sent to us will not be deemed to have been received until a return acknowledgement email is sent by us. Surrey Shorebased will only collect and retain personal data in line with the General Data Protection Regulations. Business records will be retained in accordance with HMRC requirements and after that period has expired all data held by Surrey Shorebased will be removed from our storage.